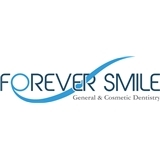 Forever Smile (Los Angeles) - Book Appointment Online! Our vision is to provide high quality restorative and aesthetic dentistry along with patient comfort in a warm and cozy environment. We believe that, what we offer at Forever Smile will not only improve your self-image, but will enhance your quality of life, forever. Our mission is to create and maintain a healthy mouth with functional, cosmetic, and natural looking teeth and gum, which will bring on a confident and attractive smile. Our office provides a full range of dental services including tooth color filling, porcelain veneer, crown, bridge, implant, smile makeover, gum treatment, Invisalign®, teeth whitening, and sedation dentistry. We examine every aspect of oral health; such as teeth, gum, jaw, and occlusion (biting). Absolutely amazing service. The staff were incredibly helpful and efficient, and Dr Sheltan was so thorough and knowledgable and really put me at ease. Highly recommended, and one of best dentists I've ever been too.